New analysis published today by the national academy for the humanities and social sciences points to a decline in A level entries in modern languages, English, History and Geography, with similar trends seenin undergraduate and postgraduate numbers. According to provisional entry data, the number of students taking German A level in England this year is down 16% on 2017, while entries for French fell by 8% in the same period. Entries for English subjects (English; English Literature; English Language & Literature) have declined by 9%, and Religious Studies by 23%, since last year. There has been a promising increase in Spanish and other modern languages in recent years, but this is not enough to reverse the steady decline in the number of students leaving school with foreign language skills. The British Academy warns that trends at A level are having a knock-on effect on higher education. Between 2012-13 and 2016-17, the number of students studying languages at university fell by 14%. With fewer students applying, at least 10 modern languages departments have closed in the last decade, and a furthernine significantly downsized. 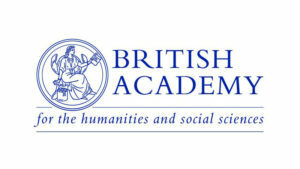 The British Academy is warning that a decline in the humanities puts the national skillset at risk. Insights from the arts, humanities and social sciences will be vital to ‘future proof’ the workforce in an ageof automation and rapid change, alongside skills from science, technology, engineering and maths (STEM), according to recentresearch from the British Academy. Professor Sir David Cannadine, historian and President of the British Academy said:“At the British Academy, we are concerned that the decline in students studying humanities subjects at A level is already having an impact on the skills of the future workforce, especially when it comes to foreign languages. “In an age of shifting diplomatic alignments, and with Brexit around the corner, our lack of language skills could put the UK at a major disadvantage when forging global connections. “The skills developed by studying humanities and social science subjects at A level and at university will be essential as we negotiate the challenges the UK faces, from AI to an ageing society and sustainable development.We will need people with insights from law, philosophy, politics and history, as well as from Britain’s outstanding STEM sector.